As you can see, slightly precarious, definitely not good looking and not really the finished items. 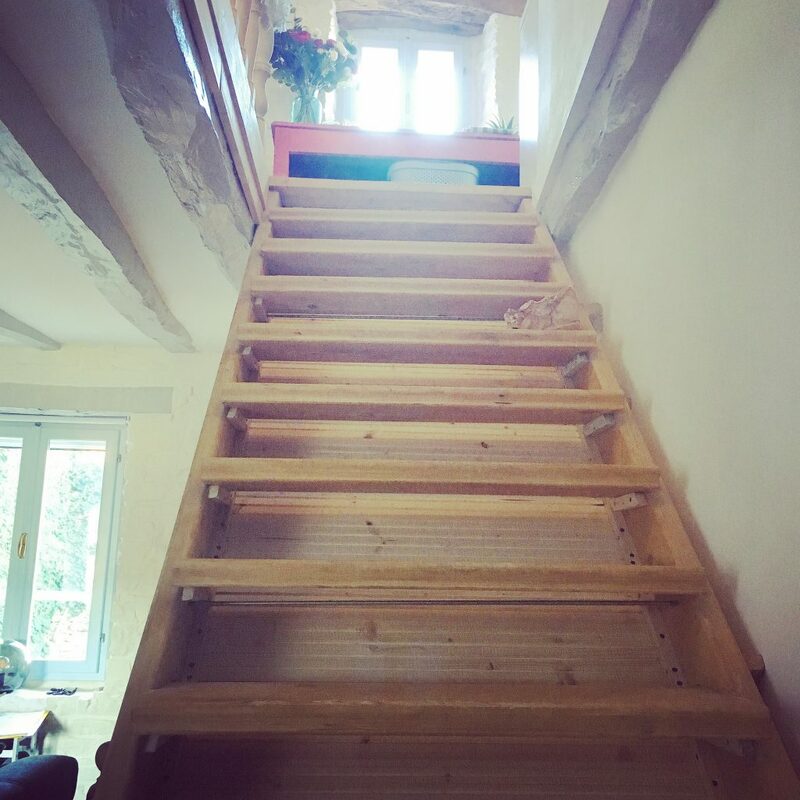 We’ve had a number of quotes for a number of different staircase options, but all were a lot more than we wanted to pay – but, we knew that if only for the safety of us, and visiting family and friends, we had to do something with them. 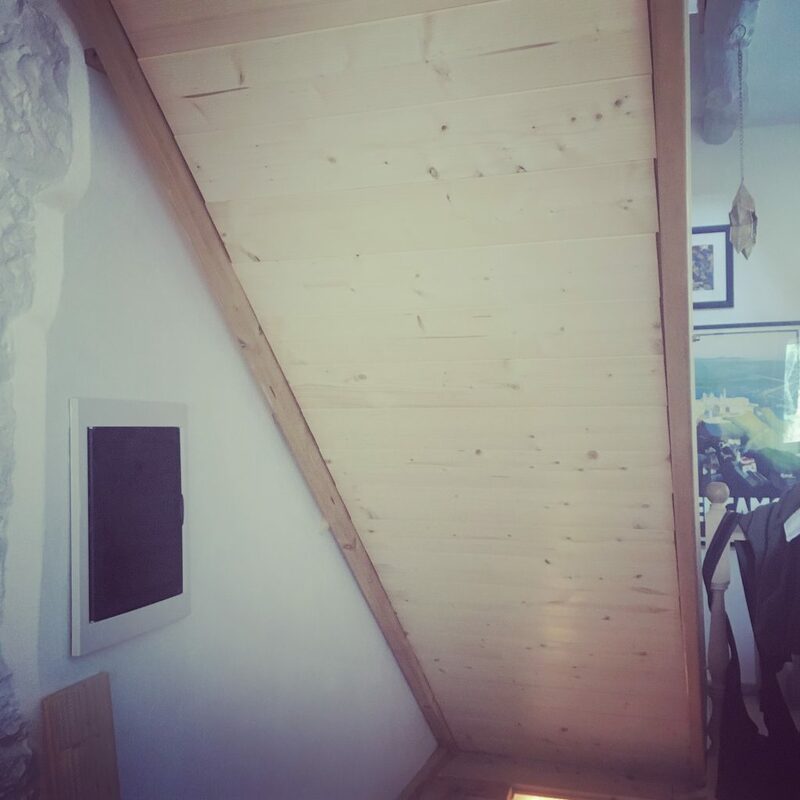 So, in between everything else we throw at him, we asked our builder to make them safe in the simplest, most cost effectvie way possible. 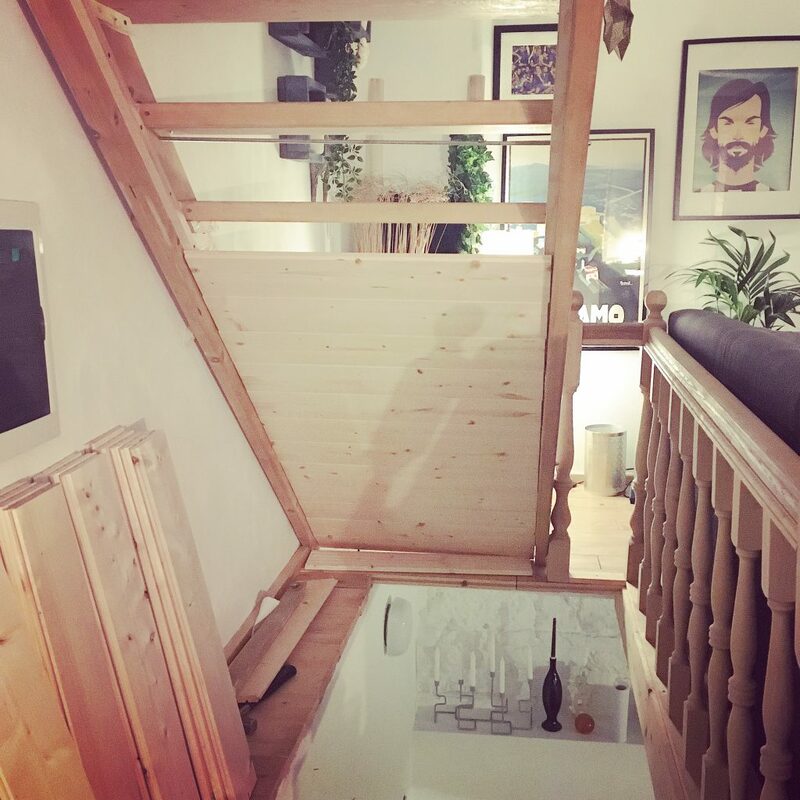 The treads were all brought forward slightly, giving you a lot more foot-room going up and down, and pine boards were attached to the frames at the back of the treads, meaning that you no longer felt your foot was going to disappear out of the other side on the way up. 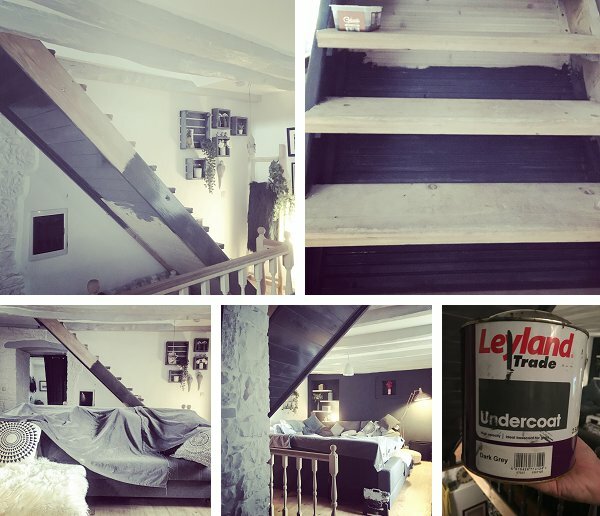 Today, we finally got round to undercoating the stairs – and what a difference it has made. 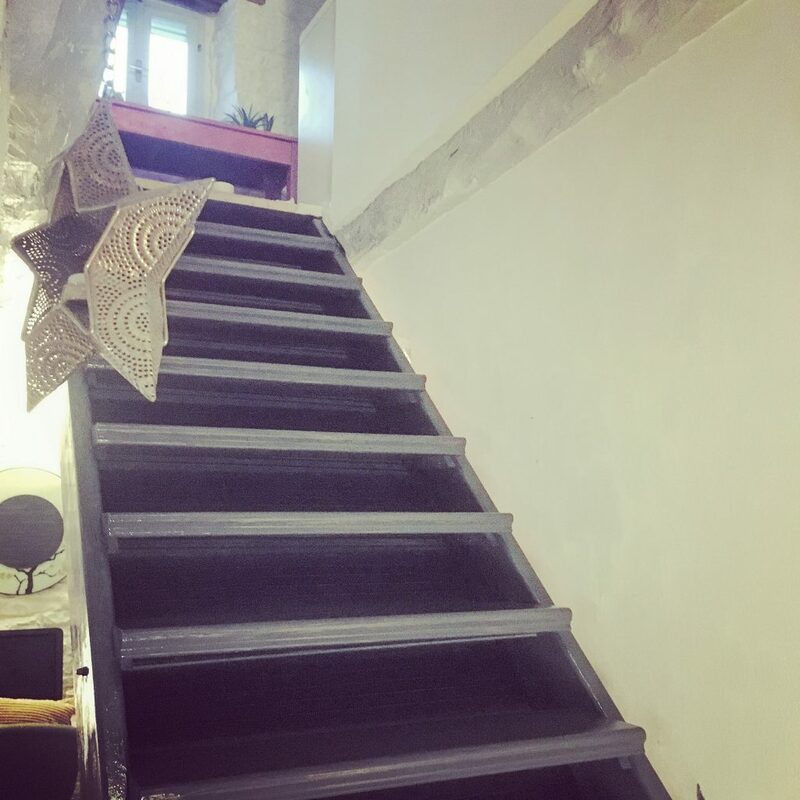 They will eventually be painted with Farrow & Ball Railings floorpaint, but the dark grey undercoat gives a pretty good impression of what they will eventually look like, when finished. 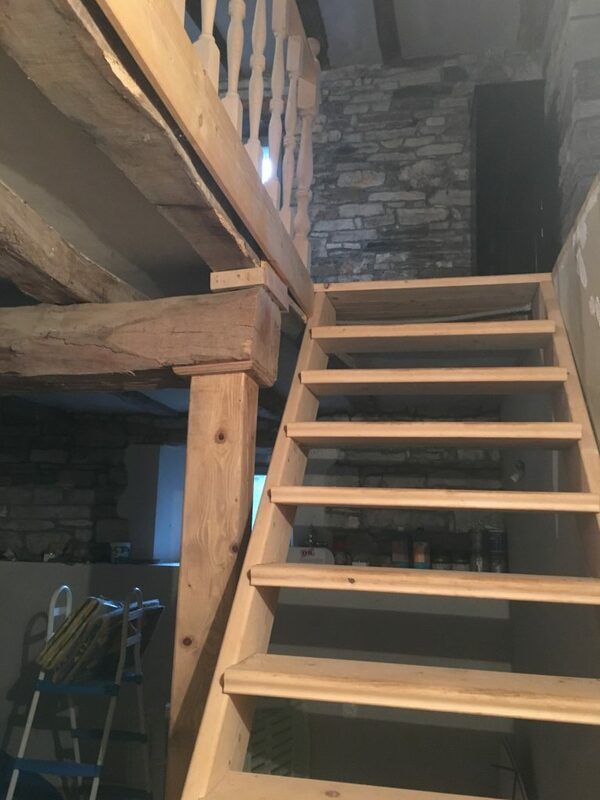 Obviously this is still a work in progress – the stairs down into the cellar haven’t even been started yet (and yes, that blob of paint on the wall will be whited out!) 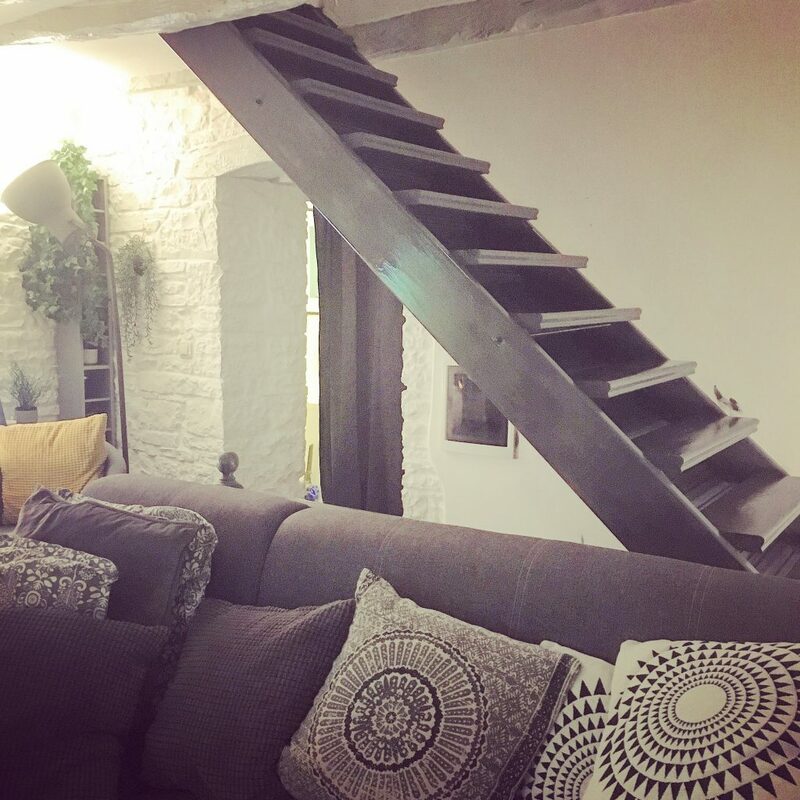 – but we think just doing this has made a huge difference to the living room. 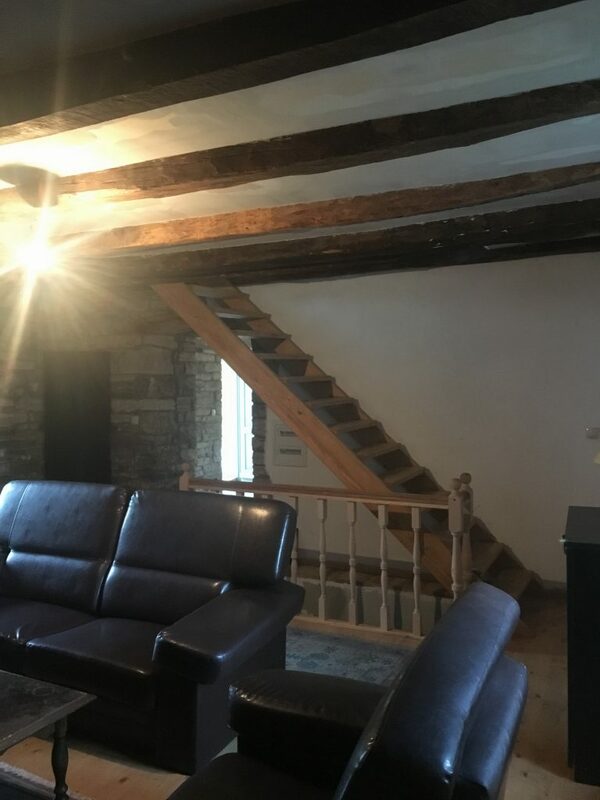 A industrial handrail will be fitted on the wall side, with three or four vertical poles (made of the same scaffolding poles) attached to the open side of the staircase. We want to keep the feeling of openess, but with just a little more of a nod to health and safety.